It is hard to tell precisely when your carpet needs a good thorough clean from the professionals. It depends on a lot of factors like the dirt in your carpet, total number of family members, color of the carpet etc. By hiring our professional carpet cleaning services you can save your carpet from some irreversible damages. 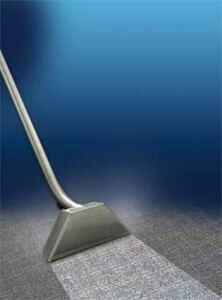 Mainly all the carpet manufacturers recommend a carpet to be cleaned by professionals within six months. It is totally a misconception that hiring professional carpet cleaners burns a hole in your pocket. In fact, the services offered by us are available at a relatively less price when compared to the renting of the equipments and cleaning materials. Your carpet might show signs of dullness, fading and roughness over the passage of time. But there is nothing to worry about as our expert cleaners can effectively take care of your carpet and help in retaining its beauty. We have been in this industry for a long time and well aware of all the techniques required for getting your carpet back in shape. Some of the best equipments are available with us which can really ease the burden of our cleaners. We generally avoid using harmful chemicals for removing stains and spots from the carpet. Whatever products we use are environment friendly and without any toxic contents. You can be rest assured that no harm will come to any member of your family or even pets. The quality of our services will make you come back to us every time when you decide to clean your carpets.